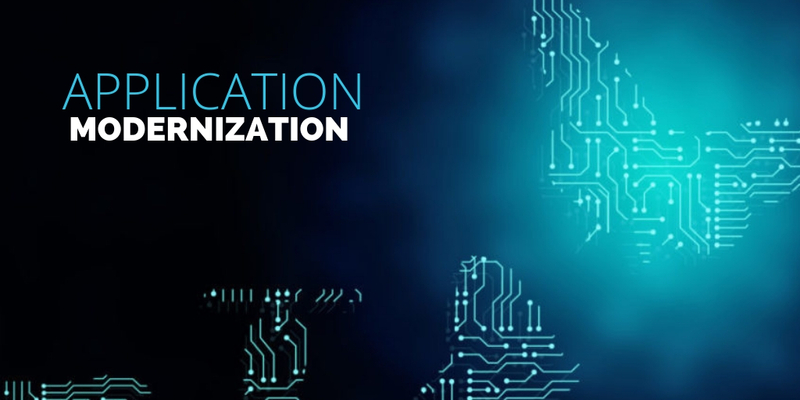 Evolving customer expectations, rising need for agility in businesses and reliable & optimal use of Big Data and cloud-native technologies have resulted in the rise of Application Modernization solutions driving Digital Transformation across enterprises. Companies large and small are heavily investing in Legacy Modernization and other strategic digital solutions to enhance customer experiences, increase brand engagement and to drive bottom-line results. IDC estimates that the worldwide spending on Digital Transformation technologies would hit a staggering $1.3 Trillion in 2018. Furthermore, the Global Application Modernization Services Market size is expected to reach a whopping 7.7 billion by 2023, rising at a market growth of 18% CAGR. In this highly competitive era of Digital Transformation, here’s a quick guide on the revolutionary trends and the impact of App Modernization that will help you stay ahead in the digital game. Legacy Modernization and Migration – provides a competitive advantage for enterprises by improving process efficiency and productivity, reducing costs, elevating customer experiences, enhancing employee engagement and beyond. Microservices – This unique method of Software development is hugely popular in recent years for its flexibility and scalability. This architecture also enables you to support an array of platforms including web, mobile, Internet of Things, wearables among the others. Our wide array of Application solutions includes Modernization of Legacy Applications, porting existing applications across technology and/or platforms, Enterprise portal solutions among others. The process of Application Modernization solutions involve strategic alignment of your application needs with your business objectives, Application Rollout assessment and Roadmap Enterprise Architecture / Platform strategy assessment, selection IT due diligence and integration, Applications development using .Net, Java and Open source technologies. Here’s PreludeSys’ unique 5 step approach towards App Modernization. Assess – Application Modernization Assessment – During this stage, we assess the core characteristics of the application including the lifecycle of the App, its complexity, Regulatory compliance, Architecture of existing apps among many others to determine the right approach to App Modernization. Migrate – Applications can be migrated from Legacy technologies to latest Microsoft .Net framework or Windows too .Net core for instance. The scope of migration ranges from porting of Legacy application software, Database Conversion, Web-Enabling or Turnkey Migration to a new OS or platform. Our Legacy Migration solutions are designed to deliver increased agility, security and productivity while driving down cost and minimizing disruption to business continuity. Rehost/Refactor – At this level of the project, we redeploy applications to a different hardware environment and change the application’s infrastructure configuration. This method of rehosting applications ensures faster cloud migration. Also, the decision to re-architect or re-host is made based on distinct requirements of the business to deliver true value to our clients. Rearchitect – Between Re-hosting and Re-architecting, we determine the right methodology to deploy based on the long-term impact of the migration. We recommend re-architecting for the fact that re-architected cloud-native applications more often supports future growth more effectively than applications that aren’t modified. Rebuild/Replace – We rebuild Cloud native applications that give you the agility and flexibility by delivering speed, scale and value – Speed to enable you to quickly meet your customer demands, scale to optimize your application resources and value to your business and to your clients. We’d love to help you accelerate your Digital Transformation journey. Contact us now, and our team will visit your premises and prepare a Digital Transformation Assessment Report, absolutely FREE.